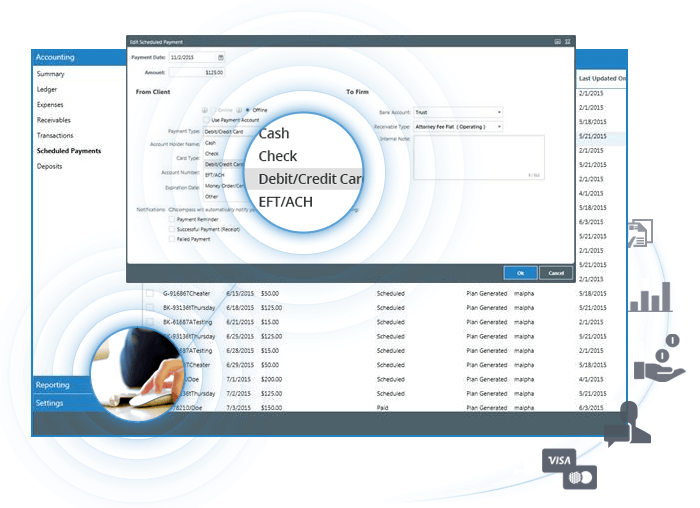 Advanced Accounting integration makes it easy to process payments directly through CINcompass. Call 866-218-1003 for more details. Note: Each vendor may charge additional fees for setup, monthly charges, and transactions. Please review each vendor’s website to see which one is right for your firm.